We love recycling at Lewis Ginter Botanical Garden. We also love partnering with like-minded organizations. That’s why Lewis Ginter Botanical Garden is proud to partner with the MeadWestvaco Foundation, supporting sponsor of Butterflies LIVE! and also our composting partner. 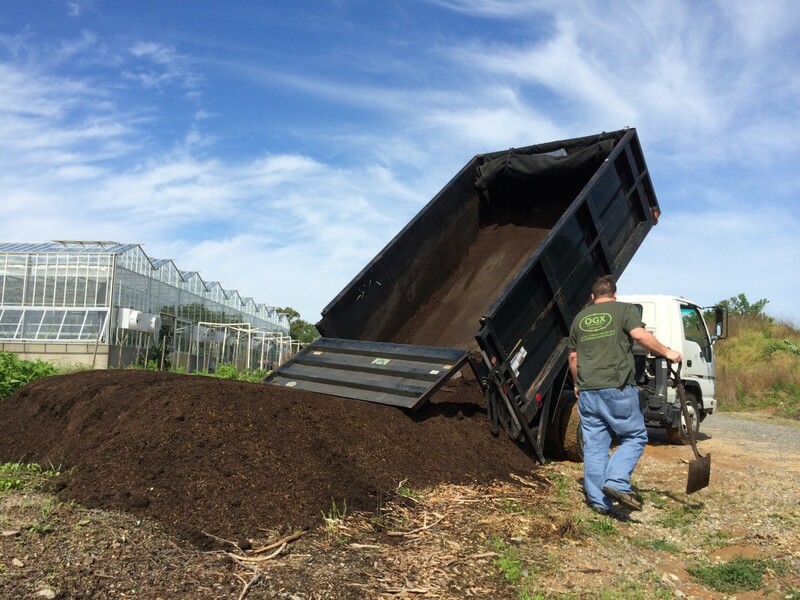 The MWV Foundation is working with Natural Organic Process Enterprises (NOPE) to enrich the soil at the Community Kitchen Garden by donating nutrient-rich compost made from food scraps from MWV’s cafeteria. One ton of compost equals roughly 2 cubic yards (give or take). MeadWestvaco expects to donate 20-25 compost credits to Lewis Ginter this year, diverting 20-25 tons of material from the landfill. 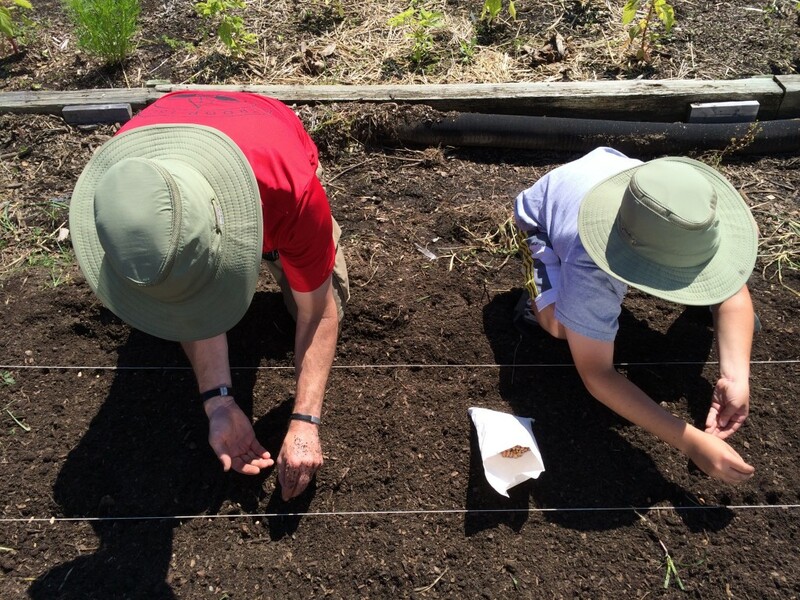 Amending the growing beds with fresh compost. Top dressing the okra plants. Yes, that’s alot of compost! “MeadWestvaco diverts organic waste from their cafeteria, which is collected by NOPE and taken to composting facilities where it is processed into compost at a location near Charlottesville. MeadWestvaco earns compost credits for the tons of raw inputs they divert and they have generously decided to donate their compost credits to us,” explains Director of Horticulture Grace Chapman. “We aren’t getting the exact same material that came from MWV, but we are getting the amount of credits that they have earned and donated. Each delivery comes with a complete nutrient test so we know what we are exactly getting. We know all the inputs for this compost are vegetable-based so it is safe to use on food crops. 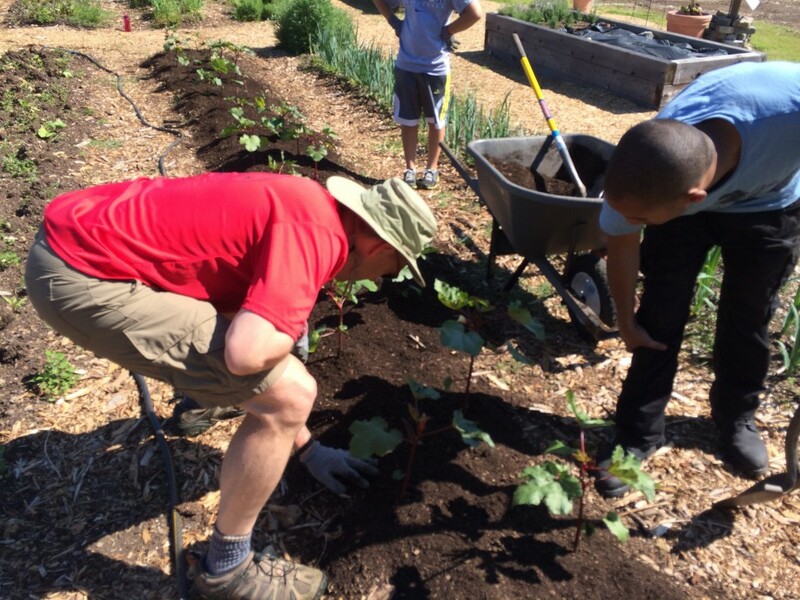 MWV, NOPE, and Lewis Ginter Botanical Garden are all very excited to be making this a full-circle loop and putting the compost back into food production that will serve the Richmond community by adding vital nutrients to the soil of the Community Kitchen Garden,” Chapman says. 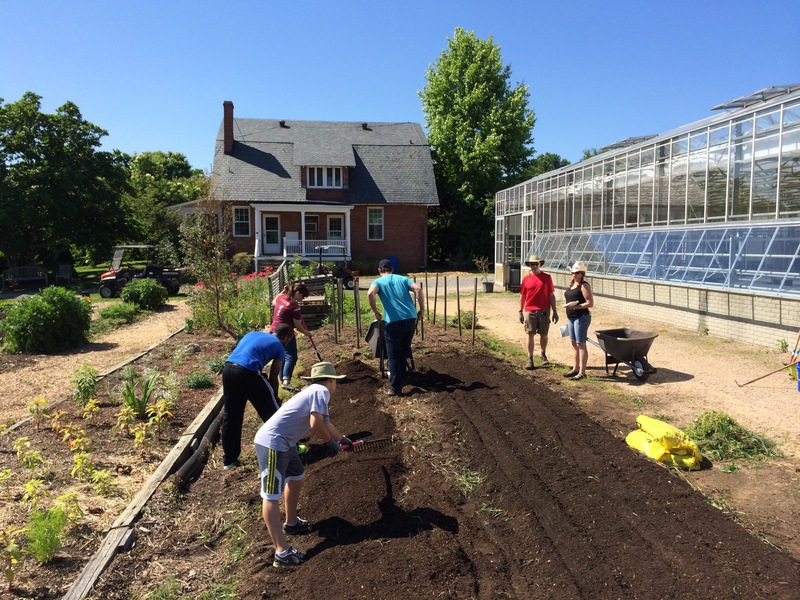 Last week the garden received approximately 7-8 cubic yards of compost for the Community Kitchen Garden. The delivery was equal to 175 compost credits. The truth is we were scratching our head a little at the math trying to figure out where the extra 150 compost credits of compost came from. Then I talked to Marshall Hall, co-owner of NOPE. “Your math is right! …. We wanted to have sort of a ‘kickoff’. We know that right now is the growing season,” Hall explained that they made an extra-large delivery to have more of an impact from the start. “It made me have a big ol’ grin on my face to deliver the extra compost for the Community Kitchen Garden.” Still wondering why you should compost? There are many great reasons including enriching the soil, but NOPE’s website provides one of the most compelling I’ve seen: Food and organic materials can be 100 percent recycled if collected properly. Landfill (anaerobic) treatment of organic waste creates methane gas — a harmful greenhouse substance contributing to global warming. NOPE’s website notes that methane is about 21 times more powerful at warming the atmosphere than carbon dioxide, according to the U.S. EPA. Compost is a natural soil amendment that is earth-friendly and plays a vital role in growing vegetables organically. In the future, NOPE hopes to expand the number of good corporate citizens who practice this kind of recycling so there will be more non-profits who are able to benefit from the compost.